No matter the state of the kingdom, you feel protected when you wear the Richard Steel Chainmail Hauberk over your gambeson. 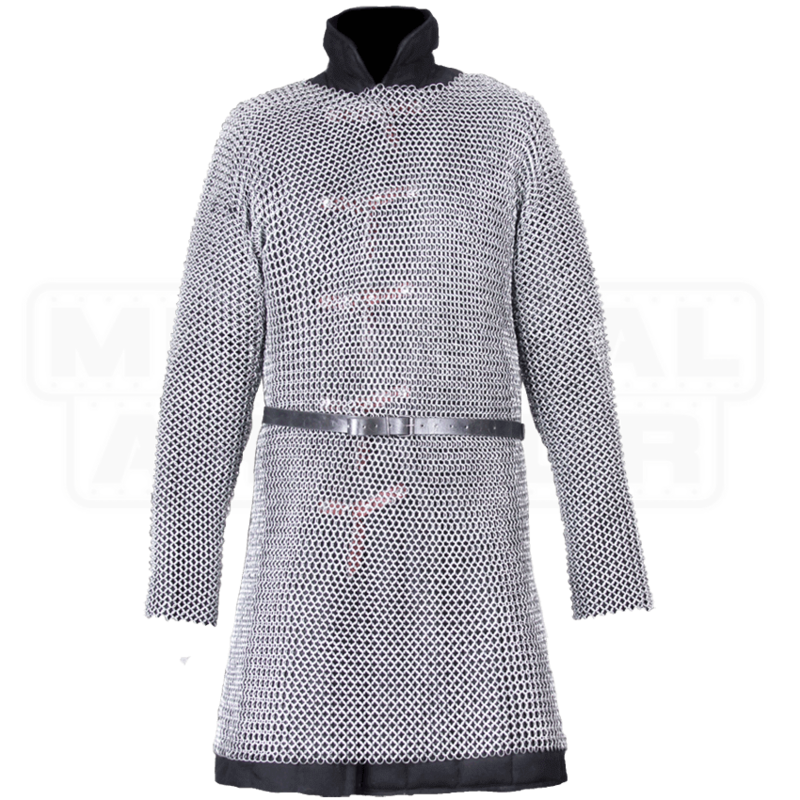 This chainmail tunic offers comprehensive protection with its long sleeve style and knee-reaching length. Made up of a multitude of traditionally woven steel rings that have been galvanized with zinc for a shiny look and resistance to rust, this medieval hauberk will transform you into a medieval warrior or fantasy fighter at your next LARP event or costume occasion. The armpits of this hauberk are fully riveted for additional durability. 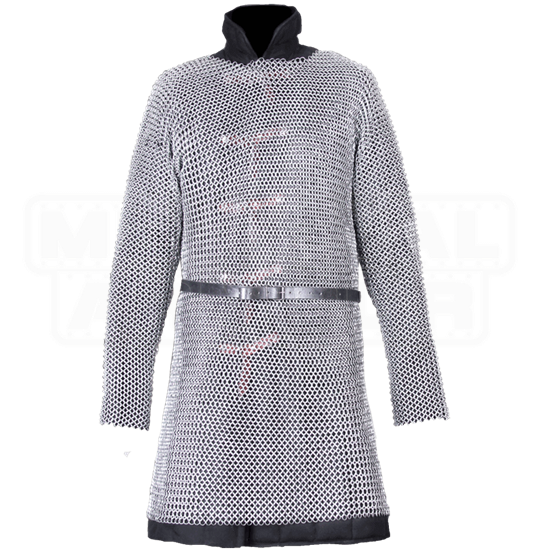 Be sure to wear a padded gambeson underneath the steel chainmail armour, as shown, for safety and comfort. The belt shown at the waist is sold separately, and can be worn to help redistribute the weight of the chainmail for more comfortable wear.